With a view looking over Minnesota Ave, our upstairs couch area is perfect for groups of 4-8 people with room to add chairs for more. 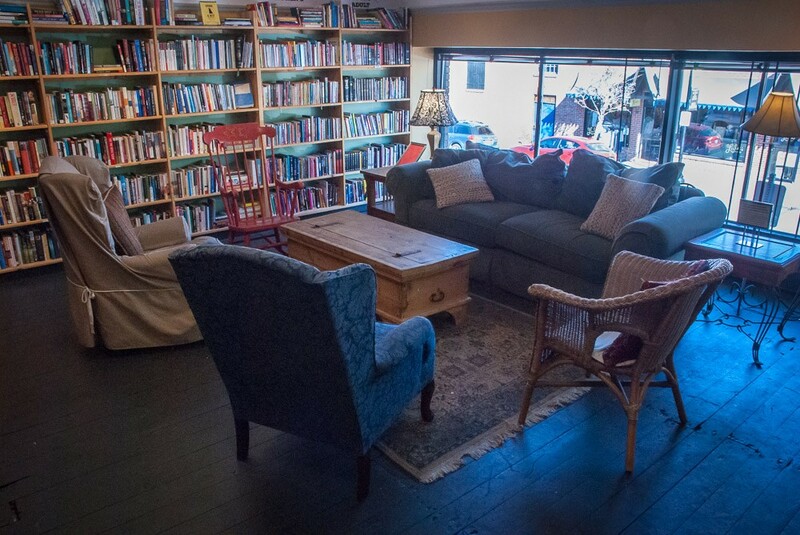 A casual place for group conversation, book clubs, or simply a spot to put your feet up and read. Our little side room off of the upstairs landing, The Nook is suitable for 2-6 people. Offering a bit of privacy, this is a perfect spot for a small group and quiet conversation. 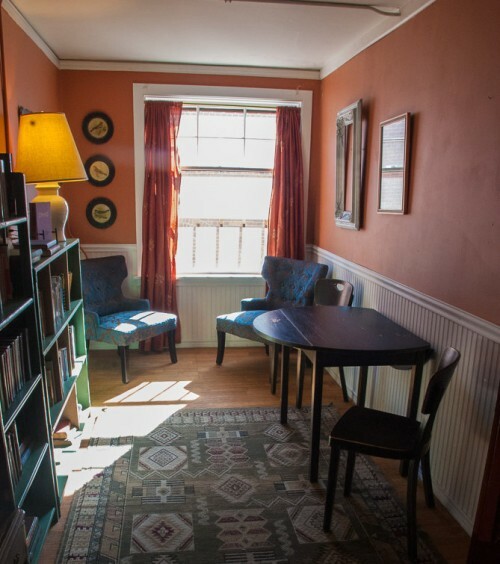 Plenty of customers love to use this space to write, study, or have a quiet place to dig into a great book. 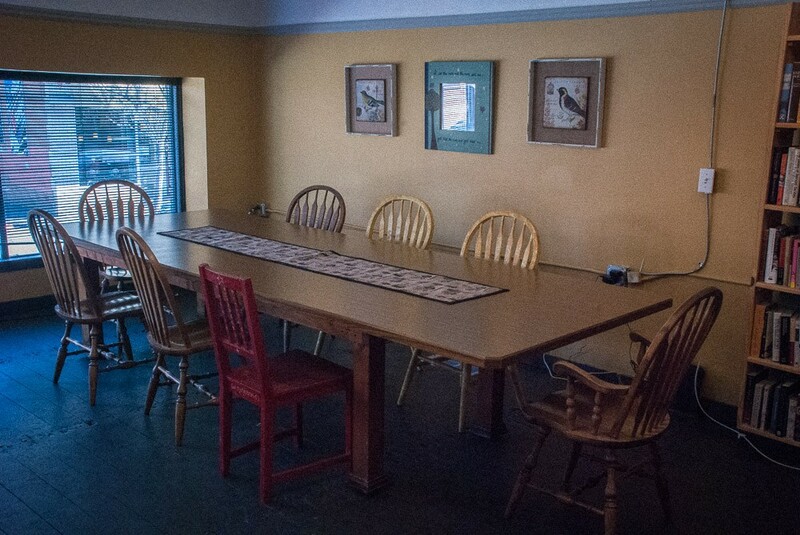 This room is adjacent to our large upstairs area that has the Couch and Conference Table. We may concurrently book that space with The Nook. Any of these spaces may be reserved in advance and we have quite a few groups who do so. You are welcome to use these spaces without reservation but we cannot guarantee they will be available upon your arrival. There is a small reservation fee requested if you would like us to hold a space for your group (pricing below). Payment is requested in advance or at the time of your meeting. In order to help you plan a time that is available, please see our Google Calendar below that lists the meeting times of currently scheduled groups. If you wish to reserve space, please call to finalize your reservation. Please understand that these seating areas are located in our retail areas and customers may enter to (quietly) browse books during your meeting. If your meeting requires absolute privacy, please call to discuss options. If you would like to book an after hours time slot, we will have a barista on staff during your meeting to serve drinks and cafe food.